Home > Competitions and Giveaways > FREE Harvest Box Snacks!! Grab a Free Harvest Box Snacks! Add a payment method but as long as you cancel before the next box, the first box is totally FREE!! 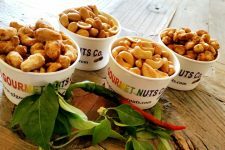 G I Gourmet Nuts FREE Sample! !